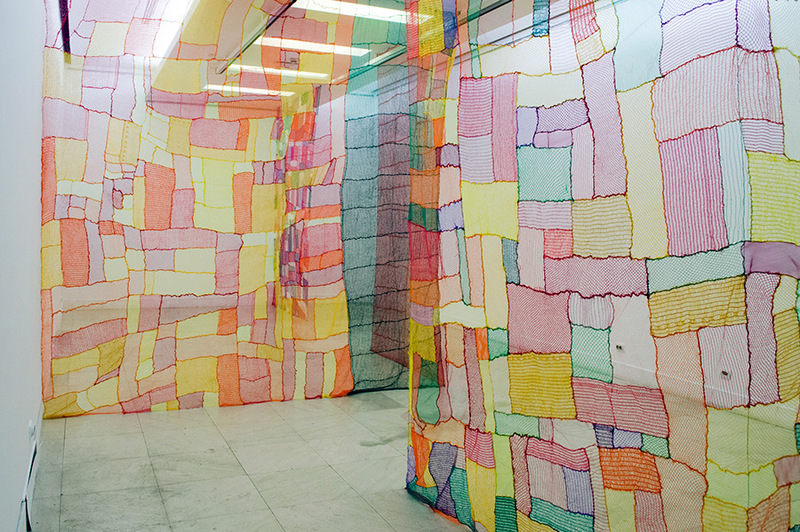 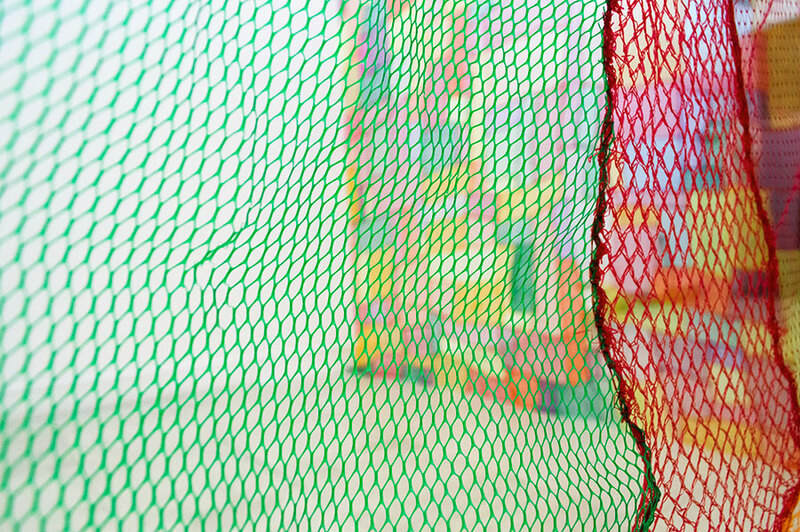 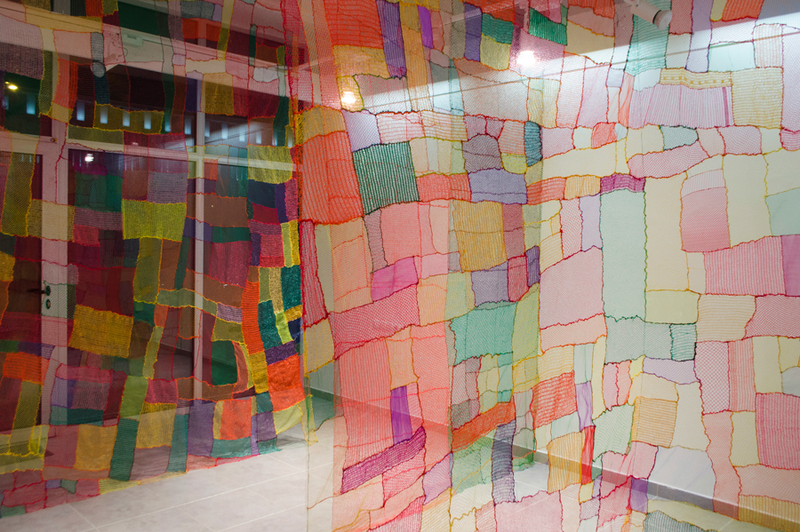 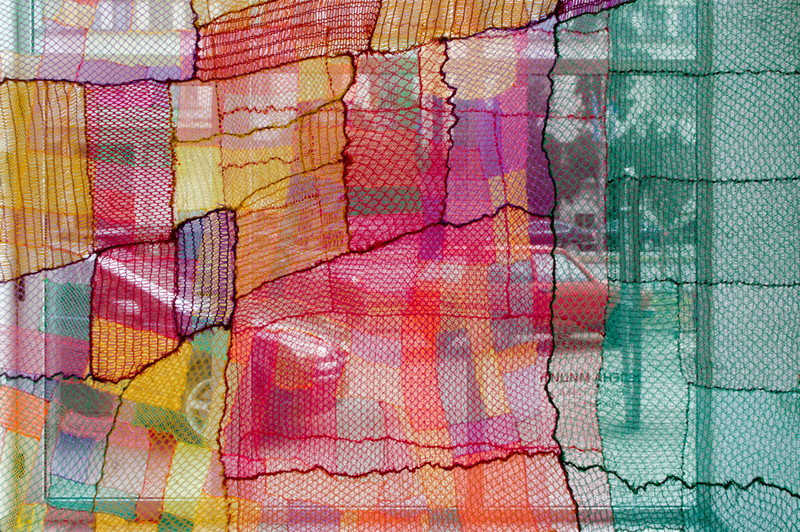 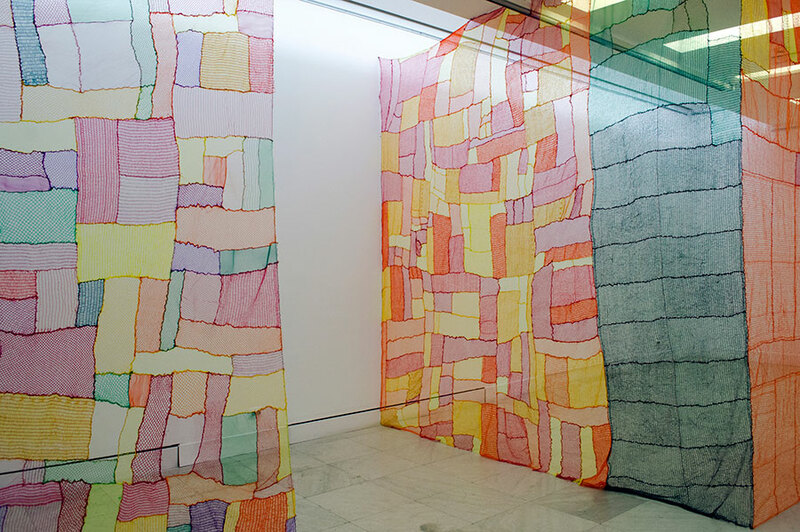 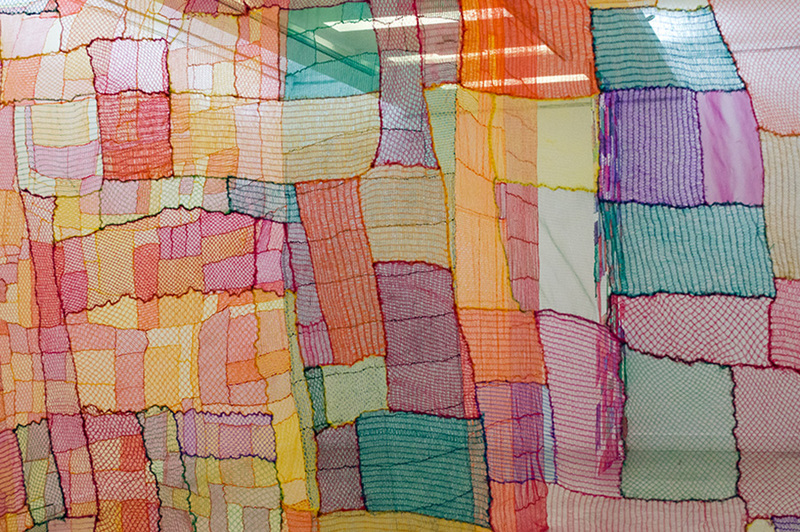 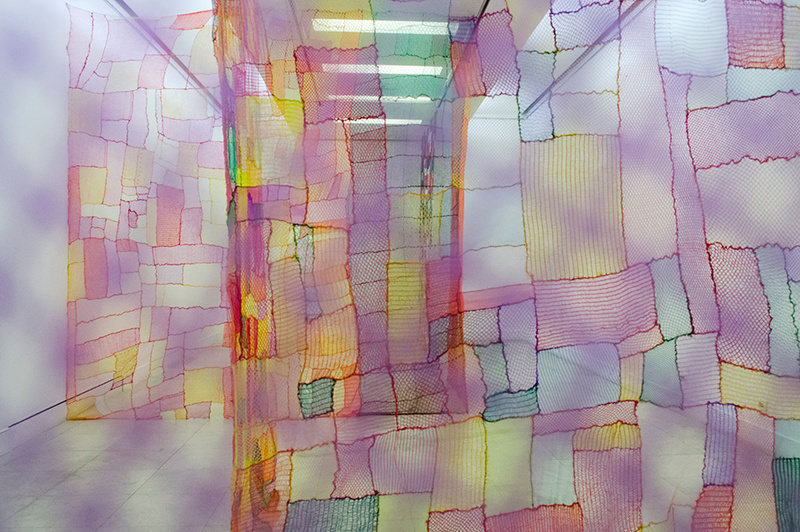 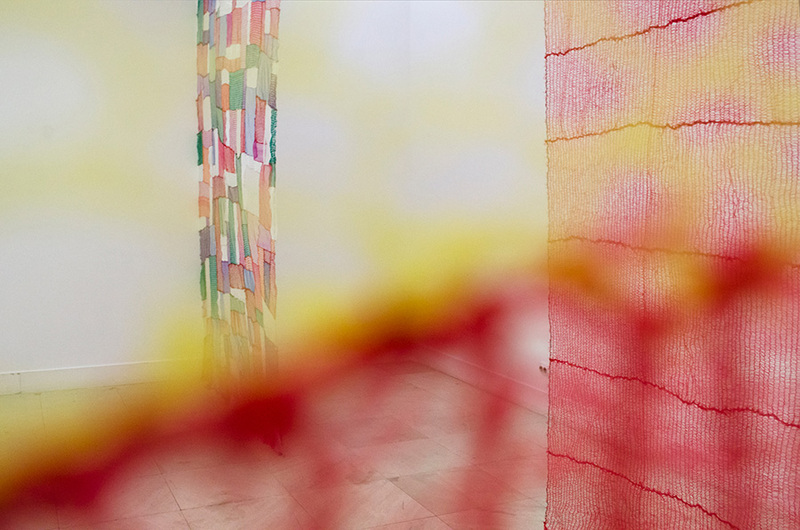 Bojna Polja (Color/Battle Fields) is a spatial installation consisting of collected and structured porous plastic nets with different characteristics and colors. 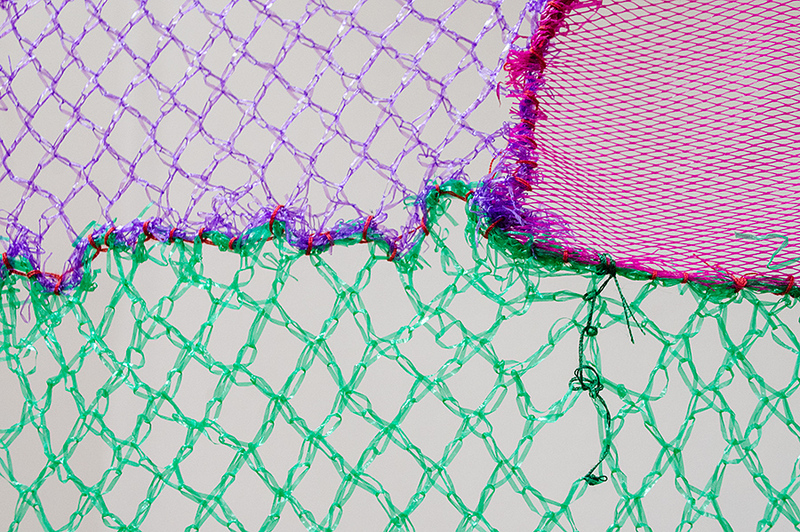 Nets that envelop and limit a certain portion of fruit/vegetable appear in a specific, industry-defined color system and size from which arises a set of hand-bonded spatial compositions limited by features of the selected/rejected material. 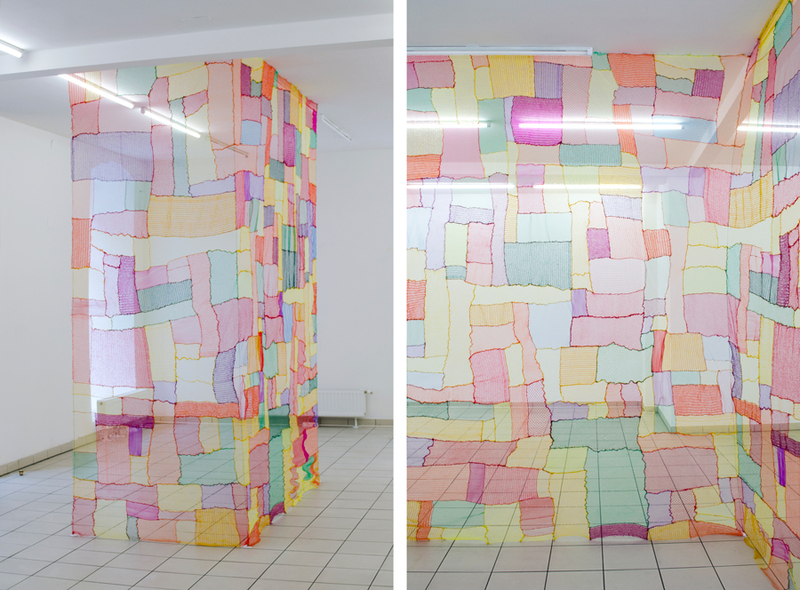 Playful spatial paintings in form of translucent color walls, structure the space of the gallery, directing and limiting visitorsʼ movement. 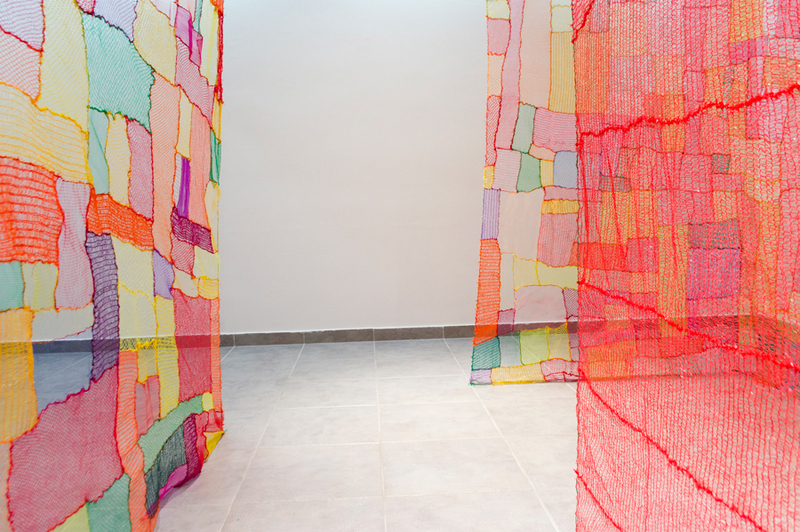 Works are repeatedly adjusted to the dimensions of the space and carry visible traces of the adaptation(s).